Now available! 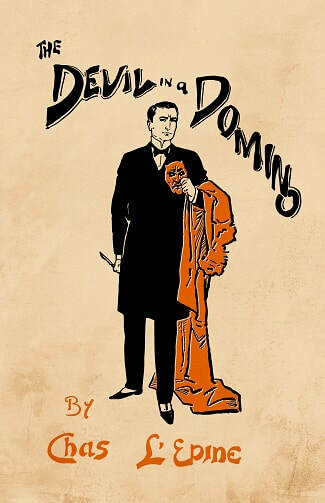 An extremely rare book, one of the earliest novels inspired by the Jack the Ripper murders, THE DEVIL IN A DOMINO (1897) by "Chas L'Epine". One contemporary critic called it “a gruesome compound of madness and butchery, with nameless horrors in the background. No sane person could find pleasure in reading such a story … it would have been better had it not been written.” Sounds like our kind of book! Features a new introduction by Simon Stern and a colorized reproduction of the original cover art.